Writing is complicated. Depending on the study you read, strong writing requires a mastery of 28, 34, or 47 distinct skills. The fact that researchers can’t even agree on how many traits go into writing illustrates just how complicated it is. That makes the teaching of writing really complicated—writing teachers need to understand this complex skill and find a way to pass it on to 140 or more students, each with his or her own blend of prior knowledge, writing ability, and motivation. Faced with such a Herculean task, writing teachers need to be as efficient and effective as possible. The good news is that a number of best practices have emerged in recent years that allow writing teachers to significantly improve their practice without adding more hours to already overfilled days. Here are four of the most impactful. Most writing researchers and teachers of note now advise that students should write between 30 and 60 minutes every day. The logic behind this is that nothing is more important for writing development than putting in the hours defining and refining one’s voice, organizing and reorganizing one’s thoughts, and learning how words spill out of one’s head and onto the page. Many teachers want to add more writing but wonder where it would fit in their already packed curriculum. Writing doesn’t have to displace content—students usually learn content better and faster when they write about it. If they’re learning about the Spanish-American War, have them write a diary entry from Teddy Roosevelt. If they’re learning about the Allegory of the Cave, have them create their own allegorical world. Writing about content allows students to simultaneously speed up both their building of knowledge and their growth as writers. Many teachers shy away from adding more writing because they worry that more writing equals more responding to writing, but that doesn’t have to be true. In fact, for many types of writing it’s best practice for teachers to not even read student writing. To show how students can gain through not getting feedback, high school teacher Dave Stuart Jr. lays out three reasons to write, developed after he read The Core Six: Essential Strategies for Achieving Excellence With the Common Core. 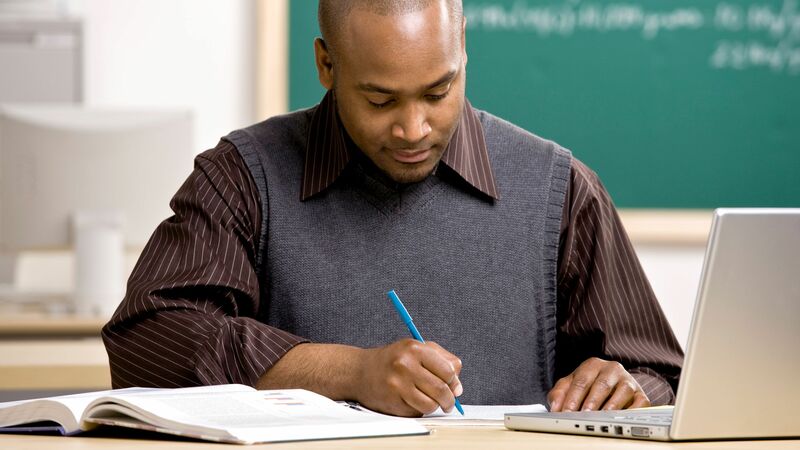 Provisional writing, where students practice with new skills or explore tricky concepts, generally works best when no one else sees it, as that allows them to practice without worrying about others’ judgment. Provisional writing includes warm-up exercises, written exit tickets, and class notes. Readable writing, where students focus on one or two specific writing traits—including things like in-class essays and short responses—usually calls for succinct feedback from the teacher on those specific traits. Many teachers respond in an in-depth fashion to all types of writing, provisional and readable included, but that amount of feedback should be reserved for polished, revised pieces. By only responding when needed with the amount of feedback needed, teachers can add a lot more writing to their classes without increasing the size of the stacks of work they bring home. A terse, authoritative tone that can intimidate students. Students getting so overwhelmed with the amount of criticism that they don’t learn any of the lessons well. This potential for intimidating, confusing, or overwhelming students is why so many modern writing researchers argue that teachers should give fewer comments that have greater depth. The St. Martin’s Sourcebook for Writing Tutors suggests a 2+1 approach, where the teacher focuses on giving deep feedback on two higher order concerns like organization or word choice and one repeated mechanical error. Using this approach instead of marking every single error is one of the rare win-wins in teaching. The teacher wins because going deeper on a few topics generally takes less time than marking everything, and students win because they get clear, quality feedback that does a better job of teaching them the most important lessons. A study by the Carnegie Corporation found that the teaching strategy that produced the largest student gains was teaching them how to engage in the writing process. The key word here is teaching, as teachers often ask students to have a writing process but rarely train them in what that means or how to do it well. The same study found that the most effective way to instruct students in the writing process is the Self-Regulated Strategy Development method, where each stage is taught through providing a rationale to students for why it’s necessary along with clear models, scaffolded support, and regular opportunities to practice it. This method does require a sizable time commitment at the start of the class, but every second spent teaching it is quickly made up for by the rapidly accelerated student gains later. Writing instruction will likely never be fast or easy, but these four techniques can help a teacher become more effective without increasing his or her workload.